We are interested in a wide range of questions concerning self-assembly, complex fluids, and soft matter systems, with a focus on lipid membrane biophysics and origins of life. We build collaborations to assemble teams with broad expertise to which our group members bring their training in physical chemistry, bioengineering, and soft condensed matter physics. What is soft condensed matter? Daan Frankel calls it "anything you can't take on an airplane", e.g. gels, aerosols, and fluids. 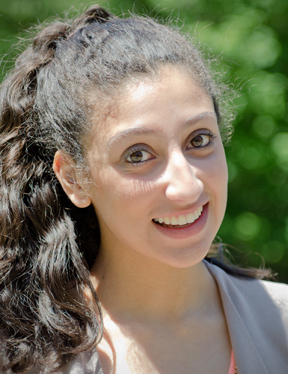 Ana Duarte - Undergraduate Researcher. Caitlin Cornell - Graduate Student in Chemistry. Professional Profiles: Google Scholar Profile. Chantelle Leveille - Graduate Student in Chemistry. Heidi Spears - Graduate Student in Chemistry. Roy Black - Affiliate Professor of Bioengineering. Sarah L. Keller - Professor of Chemistry (and Physics). 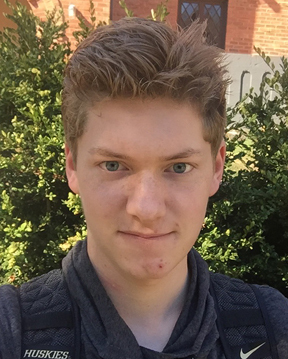 Sean Dickson - Undergraduate Researcher. Zack Cohen - Graduate Student in Chemistry. 2017 lecture (55 min) Fermilab Colloquium on (1) origins of life and (2) dynamic critical phenomena. 2016 lecture (55 min) UC Berkeley joint physics and MCB colloquium highlighting results published in 2015-2016. 2015 lecture (55 min) Presentation by Roy Black to NASA astrobiologists. 2012 lecture (30 min) KITP seminar with research relevant to theoretical physicists. Jake Ashcraft - M.S. in Chemistry, 2009. Associate Dean and Professor at South Seattle College. Awards at UW: Natt-Lingafelter Grad Award, UW-Chem. Travel Award, Puget Sound Soc for Technical Communication Scholarship. Photos. Adrienne Battle - ​ Ph.D. in Physics, 2007. Current Assoc. Prof. at Green River Community College. Awards at UW: ARCS Fellowship, Dept of Physics Fellowship, IGERT Award from the UW Center for Nanotechnology. Matt Blosser - ​ Ph.D. in Physics, 2014. Current NIH NRSA postdoctoral fellow at the University of Oxford. Awards at UW: UW Graduate School Top Scholar Award, Molecular Biophysics Fellowship (twice), finalist 2010 Biophysical Soc Student Research Achievement Award, 2012 Biophysical Soc Travel Award, UW's 2014 Lindau Fellow Nominee, 2014 Washington NASA Space Grant Consortium Fellowship, 2014 Dehmelt Prize in Experimental Physics. Photos. Mebbie Beattie (Landsness) - ​ M.S. in Chemistry, 2004. Current Chemistry teacher. Awards at UW: Outstanding TA Award 2003, UW GK-12 Fellowship. Photos. Joan Bleecker - ​ Ph.D. in Chemistry, 2015. Current Chemistry Lecturer at UW Tacoma. Awards at UW: Molecular Biophysics Fellowship 2011-2013, UW-GSFEI travel grant to 2012 Faraday Discussions (London), 2012-2013 and 2014-2015 UW Chem Grad Student Merit Fellowship, 2013 Biophysical Soc Travel Award, 2013 Lindau Fellow, UW-GSFEI travel grant to 2015 Biophysical Soc Meeting, 2015 Ford Foundation Fellowship Honorable Mention. Photos. Marcus Collins - ​ Postdoctoral Fellow, 2006-2008. Current Scientist/Senior Fellow at Placed, Inc. Awards at UW: Ruth Kirschstein NIH Postdoctoral Fellowship. Photos. Marci DeLeon - ​ M.S. in Chemistry, 2002. Current Chemist with the USDA. Christina Faller (Guvench) - M.S. in Chemistry and Biophysical Structure and Design, 2015. Current technical marketing manager at SilcsBio. Photos. 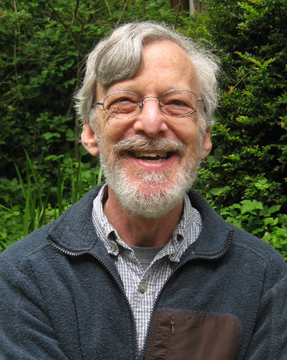 Michael Halter - ​ Postdoctoral Fellow, 2004-2005. Current NIST Research Scientist. Awards at UW: UW-MDITR STC Postdoctoral Travel Grant. Aurelia Honerkamp-Smith - ​ Ph.D. in Chemistry, 2010. Current Asst Professor of Physics at Lehigh University. Awards at UW: Natt-Lingafelter Grad Award, Molecular Biophysics Fellowship, Nanotechnology Fellowship (twice), 2007 Biophysical Soc Travel Award, Travel Award to 2007 Gordon Conf on Mechanisms of Cell Signaling (Oxford, UK), Fellowship to Boulder Summer School for Complex Fluids & Biological Materials, UW-Chem Rabinovitch Fellowship, UW-Chem Travel Award, Best Poster at Geilo (Norway) Advanced Study Inst Winter School on Order, Robustness & Instabilities in Complex Systems, 2009 Soft Condensed Matter Gordon Conf Travel Award, UW 2009 CNT Student Symp Best Presentation/Travel Award, UW Rowland Endowed Research Merit Award in Chem, National 2010 Anna Louise Hoffman Award for Outstanding Achievement in Grad Research, National 2010 IGERT Project Mtg Poster Award, 2011 College of Arts & Sciences Dean's Medal for Outstanding Graduate Student in Natural Sciences, 2011 UW Grad School Distinguished Dissertation Award. Photos. Heena Lakhani - ​ M.S. in Chemistry, 2007. Current NSF staff in the Directorate for Education and Human Resources. Awards at UW: UW GK-12 Fellowship. Jonathan Litz - ​ Ph.D. in Chemistry, 2015. Current Software Engineer, Data Sciences Group, Microsoft. Awards at UW: Leon J. Slutsky Fellowship in Chem, Brian R. Reid Fellowship in Chem, NSF Graduate Fellow, 2012 Lindau Fellow, 2012 UW Travel Award, 2013 Biophysical Soc Travel Award, PBS Newshour STEM superstar, 2012-13 and 2014-15 UW Chem Grad Student Merit Fellowship, 2014 UW Excellence in Teaching nominee. Photos. 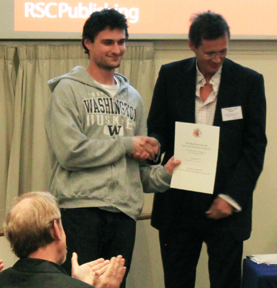 Thomas Portet - ​ Postdoctoral Fellow, 2011-2013. Current Software Engineer, Data Sciences Group, Microsoft. Awards at UW: La Fondation Bettencourt Prix pour les Jeunes Chercheurs, UW Sackler Fellow, 2011 Travel Award to Soft Condensed Matter Gordon Conf, Prix Novela (City of Toulouse), Prix de l'Academie des Sciences - Inscriptions et Belles Lettres de Toulouse, Skinner Prize for Best Poster at the Faraday Discussion 161 on Lipids and Membrane Biophysics (London), 2013 UW Postdoctoral Mentor Award Honorable Mention. Photos. Glennis Rayermann - ​ Ph.D. in Chemistry, 2018. Scott Rayermann - ​ Ph.D. in Chemistry, 2017. Current Chemistry Lecturer at UW Tacoma. 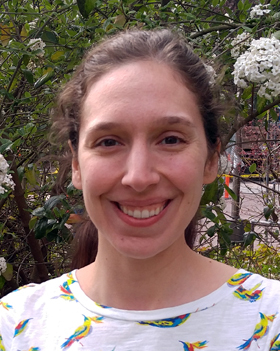 Awards at UW: George and Agnes Irene Cady Fellowship in Chemistry, Lloyd and Florence West Fellowship in Chemistry, 2013-14 Teaching Excellence Award from UW's Alpha Epsilon Delta, UW-GSFEI travel grant to 2015 Biophysical Society Meeting, Biophysical Society 2016 Education Travel Award. Photos. Cynthia Stanich - ​ Ph.D. in Chemistry, 2012. Current Research Scientist, UW Chemistry. Awards at UW: Honen Fellowship, Travel Award to Chemistry Education Research Grad Student Conference, Travel Award to 2010 Biophysical Soc Conference, 2nd Place 2011 Biophysical Soc Student Research Achievement Award, UW Dept of Chem 2010-2011 Outstanding Teaching Award, 1st Place 2012 Biophysical Soc Student Research Achievement Award, Travel Award to 2012 Conf on Transforming Research in Undergraduate STEM Education (TRUSE). Photos. Ben Stottrup - ​ Ph.D. in Physics, 2005. Current Associate Professor, Department Chair, and Distinguished Mentor in Physics at Augsburg College. Awards at UW: Nanotechnology Fellowship Award, ASCB Travel Award. Photos. 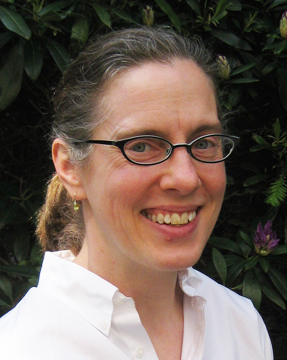 Sarah Veatch - ​ Ph.D. in Physics, 2004; Postdoctoral Fellow, 2004-2005. Current Assistant Professor in Biophysics at the University of Michigan. Awards at UW: Henderson Prize in Physics, Karrer Prize in Physics, Nanotechnology Fellowship Award, BMSD Fellowship Award, 2003 Biophysical Soc SRAA Award, Travel Award NATO Biophysics Summer School, Poster Competition NATO Biophysics Summer School, ASCB Travel Award, Biophysical Soc Travel Award. Photos. Laniesha Cobb - UW NSF REU Participant; Current Vice President for Institutes at Teach for America. Catherine Chang - Terry Scurry Scholarship, University Scholarship-Seattle, OMAD Mentor Power for Success, UW Honors Program Peer Mentor, UW Undergrad Research Leader, 2017 UW Chem Hanahan Scholarship, 2018 UW Undergrad Research Program Travel Award, 2018 Mary Gates Scholar, 2018 UW Chem Undergrad Research Award; Current NIH post-baccalaureate researcher. Photos. 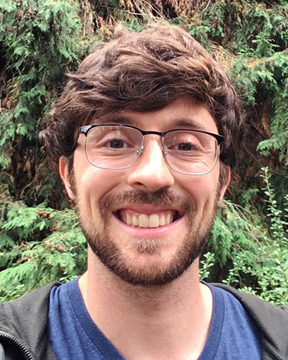 Moshe T. Gordon - 2014 UW Robinson Scholarship in Chemistry, UW Undergrad Research Program Travel Award to 2015 Biophys Soc Conference, 2015-16 Undergraduate Research Leader, 2015-16 UW Mary Gates Research Scholar, 2015 UW-Chem Benson Scholarship, 2016 Dept of Chem Undergrad Research Award; Current UC Boulder Chemistry grad student. Photos. 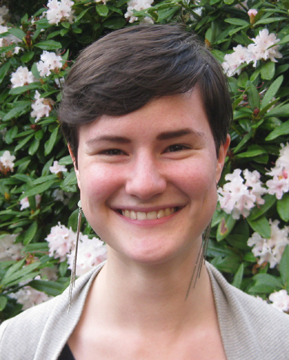 Marie Higinbotham - 2012 NSF REU Researcher; Current staff with Washington Service Corps. Photos. Marissa Hackett - Became a staff scientist at Applied Precision. Pokuan (Paul) Ho - Current teacher with Taiwanese Educational Substitute Military Service. Peter Holmes - Current dental student in the UW School of Dentistry. Photos. Ben Horst - Mary Gates Scholar, Washington Research Fdn. Fellow, 2011-12 UW Undergrad Research Conf Travel Award; Current UC Berkeley Chem grad student. Photos. Thien-An Hua - 2010 NSF REU Researcher; Current IT manager at SightLife. Photos. Ranee James - UW Undergraduate Research Leader 2013-2016, 2014 Mary Gates Scholar, 2014 APS Minority Scholarship, 2014 UW Chem Boeing Scholarship, UW Undergrad Research Program Travel Award to 2014 & 2015 Biophysical Society Conferences and 2015 National Conference of Undergraduate Research Photos. Kim Klonoff (Day) - UW Chemical Sciences Research Fellow. 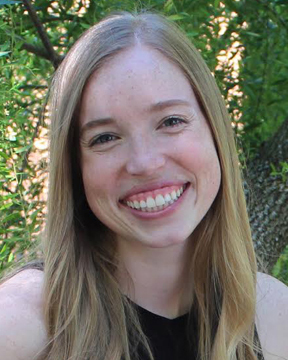 Andrea Lamprecht - Undergraduate Researcher; Current medical student at Univ. of Queensland. Photos. Jialing Li - UW NSF REU Participant; Ph.D. in physics at MIT, Current data scientist at Pandora. Matthew Loo - UW Undergrad Research Symposium Participant, Current professional engineer. Rayna Matsuno - Ph.D. in epidemiology at Johns Hopkins; Current postdoc with UC San Diego Health System. Photos. Morgan McGuinness - 2011 NNIN REU Intern, Award for best NNIN poster; Current staff with Fast Enterprises. Photos. Nathan Pennock - UW Mary Gates Undergrad Research Fellow; Current postdoc at OHSU. Andrew Ramsay - Current employee at Adaptive Technologies. Jordan Starr - Undergrad Dream Team Researcher; M.D. from Univ of Michigan, Current anesthesiologist. Photos. Daniel Stevens - Became graduate student at UCSB, then staff scientist at PATH. Photos. Mark Stevens - 2007 & 2008 Mary Gates Scholar, UW Arts & Sciences Research Award, Chem Dept Merck Index Award; Current grad student at MIT. Photos. Emily Terrell - UW Space Grant Summer Research Program; MSc in Wine Biotech from UBC; Current Asst Winemaker at Winderlea Vineyard. Kathy Toreson - Ph.D. in Neuroscience at Univ. of Maryland, Baltimore; Current Adjunct Prof at Univ. of Baltimore. Cameron Turtle - NSF REU, Undergrad Dream Team, 2009-10 Mary Gates Scholar, 2011 Goldwater Scholar, 2012 Rhodes Scholar. TEDx talk (see 5:30), Photos.